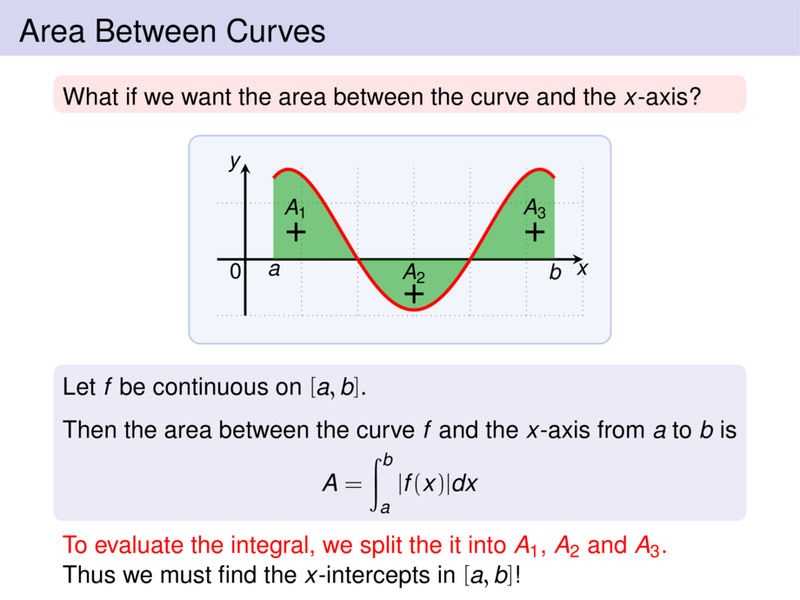 What if we want the area between the curve and the $x$-axis? Let $f$ be continuous on $[a,b]$. \pause Thus we must find the $x$-intercepts in $[a,b]$!